Step 1. Open a workbook. Step 2. On the File tab, click Save As. Step 5. Retype the password and click OK button. Note: this feature also encrypts your Excel file. If you lose or forget the password, it cannot be recovered. Step 6. 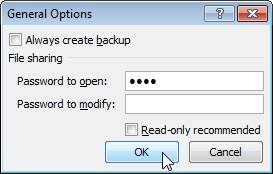 Finally Enter a file name (Like as protect) and click Save. It requires a password to open this Excel file now. The password for the downloadable Excel file is "easy". 2. You can use a function to combine text from two cells into one cell. But you can use an operator to do the same thing. Which operator is that? 5. The multiplication arithmetic operator is represented by which of the following symbols? a. calculations can be done automatically. 17. There are three types of data found in a spreadsheet. 19. If you press ……, the cell accepts your typing as its contents. 41. Late for your investors meeting? How can you quickly apply professional formatting to your sales forecast worksheet? 42. 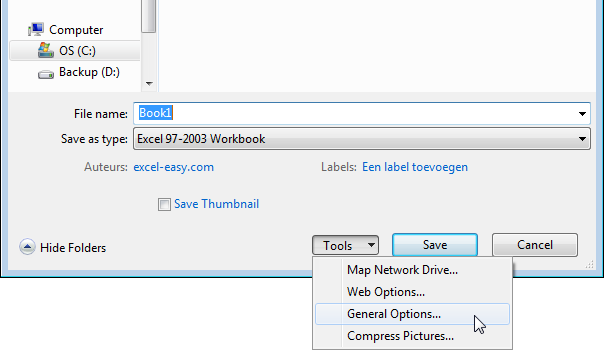 What excel feature can you use if you want to work with one record at a time? 47. A ….. is a group of cells that form a rectangle on the screen. 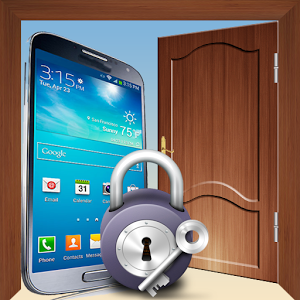 How to disable or Block Your STOLEN mobile phone ? How to set Password on MS Excel? We are protect excel file in a minute. You have file excel and don’t want any one can access you file excel so you need to set password on your file excel..., No needs password protected software or any comment. You are Done this jobs, enjoy !! !